Publish by: Eugene, Oregon: Pickwick Publications. 222 pages. 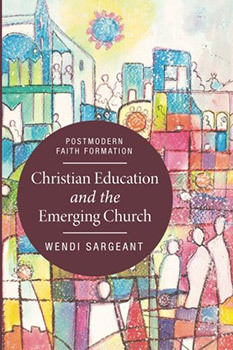 Those involved in emerging churches welcome the clearly presented framework for Christian education provided in this thoughtful and very practical publication. Those in all churches might also take note to their benefit. Theological College libraries need this account of pioneer work. Collaboration and theological reflection are embedded in this holistic book. Christian education is seen as learning through liturgy and life. The author writes: “The appropriate context for Christian education is the Christian worshipping community.” Christian education becomes “an ongoing process of learning, teaching and living the Christian story in order to grasp Christian values,” and “ the members of the Christian worshipping community are the Christian educators.” The concluding chapter 8 “Transformed Action in Christian Education” provides many action/reflection conversational guides and small group exercises on learning through the practice of Worship, learning through confession and assurance, through hearing God’s Word, through the sacraments, through hospitality and an awareness of the consumerist culture in society. A learning community approach in a parish or congregation has holistic, collaborative and theologically reflective learning processes. In this book a learning community approach, customised for the emerging church context, is focussed on learning through Worship. The author invites participants in the specific reflective processes provided to express their learning outcomes by responding individually and in groups to a variety of questions; to articulate their answers to questions like: How do you respond? What will you do about that today and tomorrow?